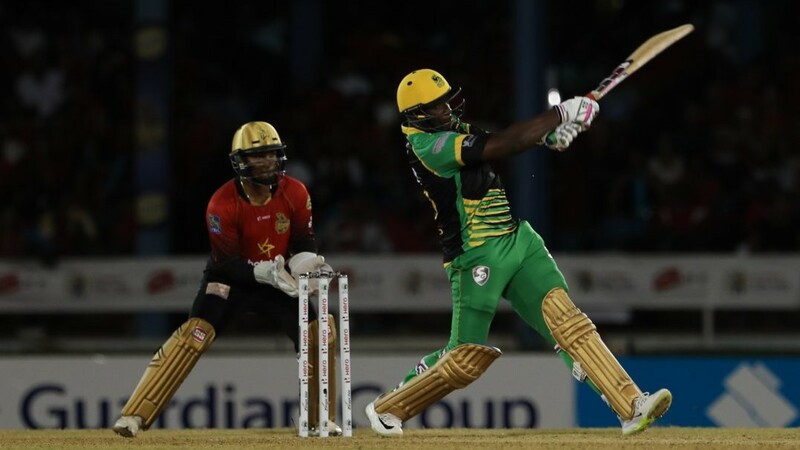 St Lucia Stars’ long wait for a Hero Caribbean Premier League (CPL) victory goes on after an agonising three-run defeat to the Guyana Amazon Warriors in a slow-burning thriller at Providence Stadium. 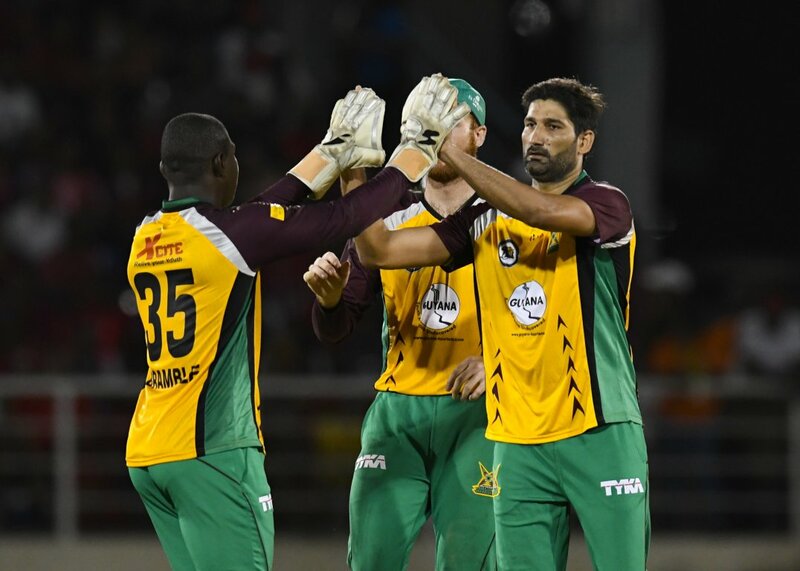 It’s now 13 games without success for the Stars, despite a much-improved bowling and fielding display in their second match of the season, while for Guyana it’s two wins from two to start the home leg of their season. The Stars appeared well on course for a much-needed victory when Kieron Pollard and Lendl Simmons were compiling an 83-run stand for the third wicket in 10 overs, but Riyad Emrit’s three-wicket burst swung the game back in Guyana’s favour as the Stars came up short despite going into the last four overs needing a very gettable 34 with eight wickets in hand. Simmons was caught behind for 45, and Mark Chapman fell in the next over after running past one from Chris Green to be stumped. The Stars’ hopes now rested squarely on Pollard, but he fell on 32 to Emrit who then bowled Rahkeem Cornwall with his very next ball. There would be no hat-trick, but Emrit had nevertheless turned the game his team’s way: despite a huge six from Qais Ahmad, the equation was suddenly 16 from the last over. Keemo Paul bowled Kavem Hodge with the first ball of the final over, but still there was more drama to come. Mitchell McClenaghan ramped his first ball for six and then scampered two to reduce the target to eight runs from three balls. The big New Zealander lost the strike, though, and young leg-spinner Ahmad – who earlier bowled beautifully to collect 3/15 from his four overs – could only scramble three runs from the last two balls to leave Guyana celebrating and the Stars left to wonder what might have been. The Stars’ spinners had earlier played a key role in restricting the Amazon Warriors on a slow pitch, with Ahmad very much to the fore. Hodge also proved hard to get away as he rattled through his four overs at a cost of just 24, while even part-timer Chapman got in on the act with the key wicket of Luke Ronchi for 42 in his solitary over. 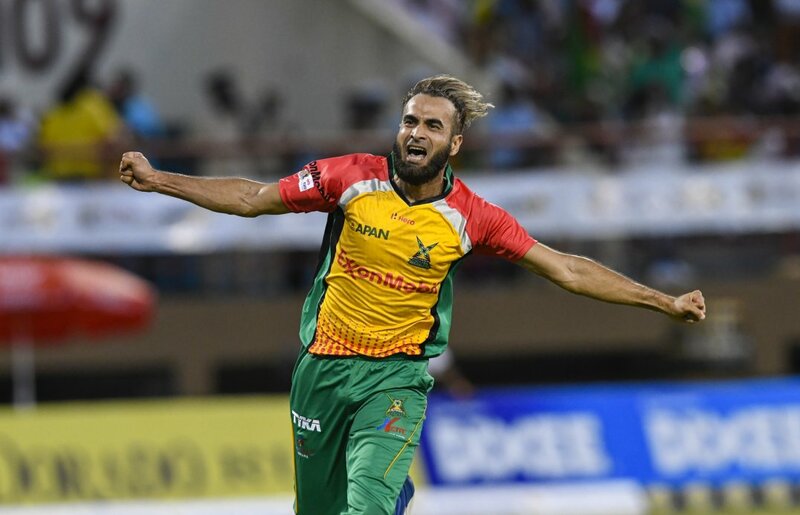 And it was then Imran Tahir who first appeared to have steered the game decisively Guyana’s way with two wickets in his first over en route to figures of 2/23, with both his wickets prompting trademark lap-of-honour celebrations from the excitable leg-spinner. Even before Tahir’s introduction the Stars were falling behind the pace, with both Andre Fletcher and David Warner struggling to get bat on ball as the Power Play yielded only 28 runs. Warner had struggled to 11 from 20 balls, yet the manner of his dismissal was particularly unfortunate as he was adjudged leg-before despite the ball hitting his glove rather than pad as he attempted a reverse sweep. If Warner could consider himself unlucky, though, there was little doubt about Fletcher’s departure two balls later playing back to a googly that struck him in front of middle-and-off. Even though Simmons took Tahir for two sixes in Tahir’s final over to dent his final figures it was still a fine spell in a match where bowlers ultimately held sway. The Amazon Warriors made a steady start after being put in to bat, with early impetus coming from Chadwick Walton who took two boundaries from the third over, bowled by McClenaghan, before collecting the first Hero Maximum of the day with an audacious ramp shot over fine-leg off Mohammad Sami. But the introduction of Ahmad after seven overs with the Amazon Warriors 54/0 changed the course of the innings. Walton had raced to 31 before the early trend in this season’s Hero CPL for spinners to strike with their first ball continued. The Amazon Warriors’ opener gave Ahmad the charge and was stumped after making no contact with an almighty heave. 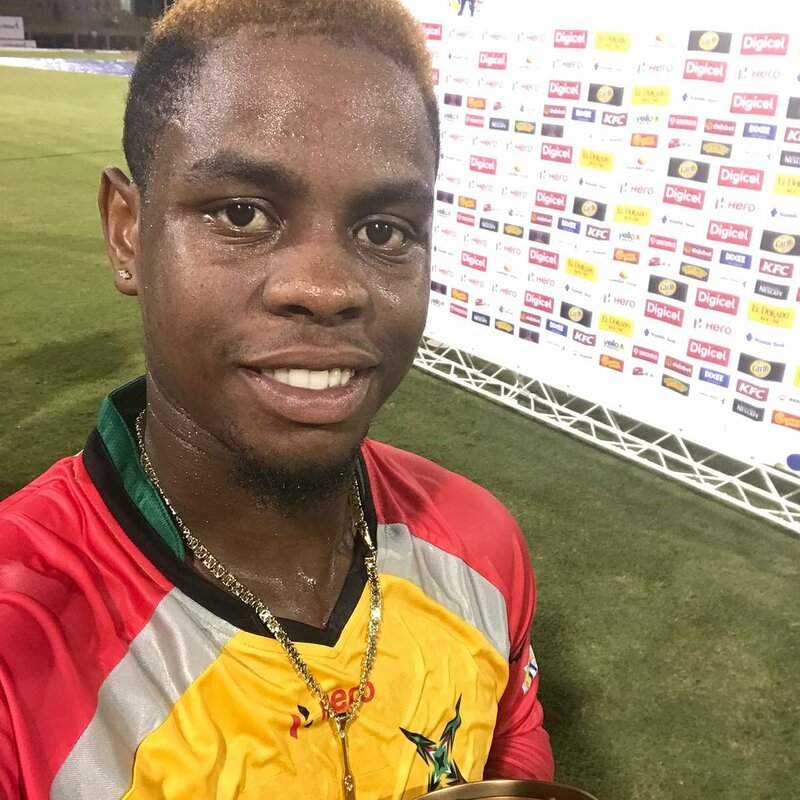 That brought the hero of Thursday’s victory over St Kitts & Nevis Patriots, Shimron Hetmyer, to the crease, and he was soon into his stride with back-to-back boundaries off Kieron Pollard. Even so, the wicket of Walton allowed the Stars to exert some control over proceedings. After 50 runs came from the first six overs, only 23 came from the next four. Ronchi finally broke the shackles with a straight six off Kesrick Williams from the final ball of the 11th over. But Ahmad, the latest exciting talent off the Afghanistan spinner production line, soon grabbed his second wicket as Hetmyer edged an attempted cut shot through to Andre Fletcher, who held on at the second attempt. Shoaib Malik bashed his third ball down the ground for six but was then bowled through the gate by an Ahmad googly before Chapman won a marginal leg-before verdict against the dangerous Ronchi. Jason Mohammed and Sherfane Rutherford both managed to clear the ropes in the final couple of overs, nudging the final total over 140. How crucial that would prove in the final analysis.